Despite its wide-reaching socio-economic impacts, tourism still receives limited attention as a tool for development. On the occasion of the Third International Conference on Financing for Development (Addis Ababa, Ethiopia, 13-16 July), UNWTO calls for higher support for tourism in international financing for development flows to maximise the sector´s contribution to sustainable development across the globe. “For an increasing number of developing countries tourism means jobs, poverty eradication, community development, and the protection of natural and cultural heritage. Yet, in order to maximise tourism’s contribution to the development objectives, it is critical to address the disparity between the sector´s capacity to foster development and the low priority it has been given so far in terms of financial support in the development cooperation agenda”, said Mr Rifai. To read the full article visit UNWTO.com. 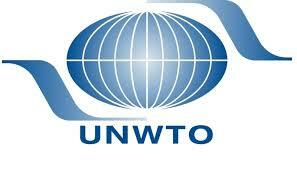 WYSE Travel Confederation, a long-standing Affiliate member of the UNWTO, supports and echo’s Secretary General Rifai’s views that tourism provides a strong framework that can help improved sustainability for many underdeveloped countries around the world and drive economic prosperity. WYSE Travel Confederation also highlights the role that the youth, student and educational travel sector plays as a financial contributor to tourism and how attracting youth travellers can help with economic development, sustainability and improved cultural understanding. In 2014, youth travellers accounted for 227 million of the 1,135 million international tourist arrivals and generated nearly USD 250 billion towards international tourism receipts.